There are several tips and tricks to buying a mattress at a great price. There are definitely certain times of the year when sales are at their max to bring consumers to online and brick and mortar stores, but you can’t always count on needing something as necessary as a mattress on a particular date. Your mattress is a serious piece of furniture. It is unlikely many pieces of furniture in your home get as much use, and even abuse as the bedding does. You spend 8 hours a day on your mattress. The younger people in the house, should be getting even more sleep, and spending even more time on their mattresses, so don’t forget to check and make sure everyone’s bed is in good shape. You need it to be comfortable, and most of all you need it to be a healthy place to get a good night’s sleep. A bad, worn out, or broken down mattress can make it hard to sleep through the night. It may be difficult to get to sleep, and even cause you to hurt or have severe headaches and nerve damage that lasts for hours after getting up. Furthermore, cardiologist David Montgomery, MD, says that sleeping less than six hours a night on a regular basis increases the chances of people who are 45 and over of having heart failure, stroke or heart attacks. Your mattress is serious business. You deserve a good one. 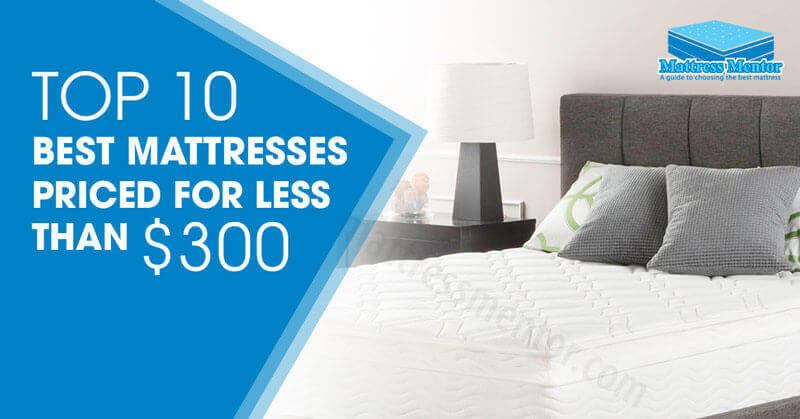 Being strapped for cash should not prevent you from being healthy and enjoy a great night’s sleep, so this is a guide to help you find the best quality mattress at super low prices below $300. The queen size version of this mattress, also available in twin, full and king, is well below the $300 price point, but has everything you could ask for in modern sleep technology. Made by Signature Sleep, this thick inner-spring mattress is firm, and has several layers of thick, soft memory foam and polyester fill covering the top and bottom to provide supple support for side sleepers, and enough form-fitting firmness for back and stomach sleepers. The inner-spring coils are individually encased to keep them from warping, and several layers of foam with a thick polyester filled case provide a soothing, cool sleep surface. The Signature Sleep Contour Queen-Sized Mattress is 8 inches thick, and is suitable for use with any bed frame. What’s great about this mattress is that it is made with the foam on both sides of the springs so you can flip it regularly to increase its useable life. It works great for average and large framed people, and kids will love it too. For a comfortable memory foam mattress that has a cool temperature technology for under $300 you can’t beat the Best Price Mattress. It comes in five sizes including king and twin XL and all of them are well below the budget limit. This medium-firm memory foam mattress has 3 layers of comfortable, luxurious visco-elastic padding. 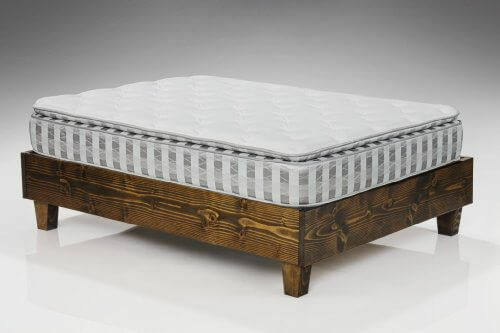 A 4” bottom layer provides the strength and firmness that makes it a great choice for any sleeping position. The next layer is a 2” air flow ventilated foam pad that allows the smooth transfer of air through the foam to keep body and room temperature from heating up your sleeping area. On top is a 2” thick softer memory foam that molds to your body and moves with you during the night, so you can sleep soundly without waking and still be fully supported. Memory foam is a great choice for side sleepers who need to keep their spines supported and also helps pregnant women feel comfortable even at the end of their pregnancies. The foam materials used in the Best Price Mattress are all CertiPUR-US certified so you can buy with confidence knowing it is a healthy and environmentally safe product. It is backed with a strong 10-year guarantee. Thick, luxurious memory foam offers all of the comfort and support you need, and is great for side sleepers. The Signature Sleep 8-Inch Memory Foam mattress comes in the four standard sizes, and even the King size is just under $300, so whatever size mattress you need for any member of the family, you can find it and have the memory foam experience. The inner core of the Signature Sleep 8-Inch mattress is made of 3 layers of visco-elastic, certified to meet the federal fire safety standards, and rated a ILD9 2 pounds for the topmost comfort layer. This 2” inch thick foam layer is what gives the Signature Sleep mattress it’s plush, soothing surface. Under the top layer another medium-firm layer provides support and ventilation to keep you cool while you sleep. Finally under it all is a thick pad of heavy-duty, firm support that won’t sag or flatten during the night. This final layer is what keeps your spine inline when sleeping on your side, while the upper layers mold to your body and support the curves of your body, dispersing your weight evenly to avoid any pressure pain. The mattress is covered in a knit fabric that is soft and smooth. The cover is not removable. Signature Sleep has a solid reputation for quality sleep products. They stand behind their mattresses and have excellent customer service. This is a great mattress for the price and has a medium firmness that is supportive while still being soft and fluffy. It is firm enough for side and back sleepers, but may be too soft for stomach sleepers. The Ultimate Dreams mattress is a truly luxurious mattress at a low, low price and is perfect for those hard to fit areas like bunk beds, trundles and daybeds. The TriZone memory foam composition gives it all of the support and fluffy softness that you expect from a foam mattress and it has options to get the full set of mattresses for standard bunk bed setups such as twin/full combos and twin/twin combos. The mattress also comes in single twin, full and queen. 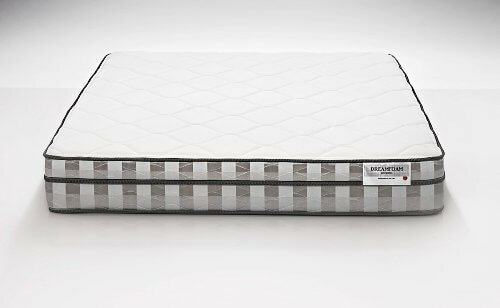 All of the size options are well below the $300 price point for the budget buyer, and still offer the benefits of a thick 6.25” core of firm foam to support spine health, and a soothing .75 quilted top layer for spongy comfort. Memory foam mattresses are great choices for side sleepers to provide excellent support of the hips, shoulders and neck. Most foam mattresses are too soft for stomach sleepers, but the thick, firm base of this mattress makes it a good choice for any sleeping position. This will give the kids in the family a fabulous night’s sleep at a great price, and also give your guests a luxurious place to rest after a long day visiting. 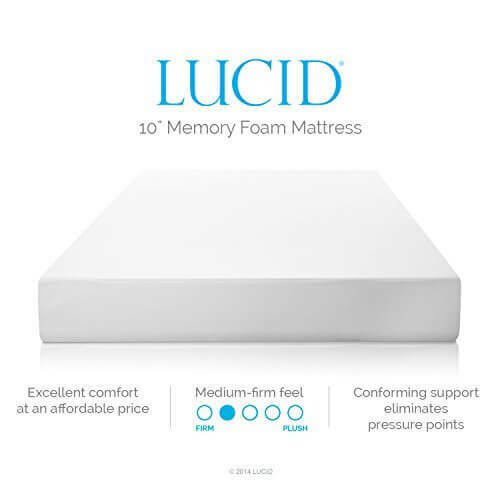 LUCID is a top of the line company offering this great 10 Inch version of their mattress at a very affordable price. The drawback is that only sizes up to queen fit the budget under $300 price point, but it does come in king and California king for just a little over the budget if you want a really big bed. All of the sizes have dual foam padding made from 100% CertiPUR-US foam and come with a 25 year warranty. The LUCID 10 inch memory foam mattress uses open cell memory foam technology to provide a cool sleeping surface. The technology allows even air flow to pass through the foam pad and keep body and room temperatures from increasing even in the warmest of climates. This lavish memory foam mattress has 3 thick layers of foam to give back, stomach and side sleepers a comfortable, pain free surface for a great night’s sleep. It has a medium/firm strength that lets it curve to your body and support sensitive areas while alleviating pressure points, and still give you the soft, soothing feeling that makes you fall asleep faster and easier. The profile of this mattress is a little shorter than an average mattress in all of the sizes, making it perfect for tight spaces like motor homes, mobile homes, boats, and even camping tents. It comes with a standard 3-year limited warranty, and even though it comes compact and rolled for easy shipping, it expands in a few hours once opened up. If you are looking for a truly body conforming memory foam mattress the Best Price 10-inch Memory Foam mattress is an excellent choice. Unlike many of the value mattresses, this one has 2” extra inches of plush, soft, soothing foam cushioning, available in four sizes from twin to king. However, only the twin, full and queen are under the $300 budget limit we are talking about here. 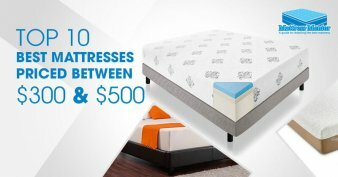 The Best Price 10-Inch mattress incorporates their pressure relief system into this mattress so that it has pinpointed areas of the surface that give you more pliable molding, making it easier for heavier bodies, or side sleepers to get the shaping they need to support the sensitive areas such as the lower back, neck and shoulders. This pressure relief system helps to spread out the body weight keeping the strain off of joints, while giving you the fill support to cradle the neck and waist areas that are often left vulnerable to mattress gap when sleeping. It is certified by the CertiPUR-US label and carries a 10-year warranty against flattening and damage. Since even those people most dedicated to their preferred position will tend to move during the night, having a mattress that follows your body and keeps its support through any position allows you to sleep uninterrupted and still wake up pain free. The Best Price mattress is constructed in a way that it isn’t necessary to use a box spring, although if you already have a matching size box spring, it will work fine with it as well. It has a removable cover for convenient washing and drying to give you the freshest surface possible. If you think it is impossible to find a hotel-quality pillow top mattress at a budget price, you are wrong. The Sleep Master iCoil 10 inch Pillow Top is a soothing, high-quality mattress that will make you think you have just checked into a luxury spa for under $300 (Queen size and smaller). Even the king size version of this mattress is affordable, although a little over the max budget here. What makes this inner spring mattress such a great choice? Spring mattresses get a little bit of a bad rap, especially since the coming of the memory foam support mattresses, but the Sleep Master iCoil has a special solution to give the core springs a more reliable and durable quality that makes them every bit as attractive. This powerful mattress has each individual coil wrapped in its own pocket of foam that keeps them from twisting or warping, and adds an additional comfort level. On top of the coils are several layers of thick, pain relieving foam that offer the attractive pressure relief of memory foam without the sinking feeling that a full-foam mattress can deliver. The top layers of foam are CertiPUR-US certified and are proven to be durable. The mattress is protected by a 10 year limited warranty, and backed by Sleep Master, an industry leader that specializes in quality products and customer service. The combination of firm coils and soft foam is perfect for back and stomach sleepers. The mattress cover is generously padded with an additional layer of foam and quilted with Jacquard fabric for the final touch of luxury and cool sleep comfort. This is a great mattress at a bargain price. 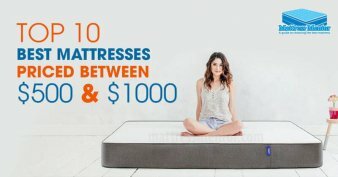 For anyone considering memory foam but afraid to pay a lot of money to try it, the Best Price mattress offers 6-inches of thick, strong foam that will give enough to make you comfortable, but support you enough to keep your body in the perfect position and avoid strain and injury to your neck, shoulders or back. The visco-elastic memory foam materials are CertiPUR-US certified and come with a 10-year warranty. Best Price Mattress is a solid company with an easy to reach customer service department that stands behind their product. Inside the Best Price Mattress 6-Inch Mattress is a dual layer of strong support. The base is a thick, firm foam that will keep your mattress from sinking, flattening or getting saggy. 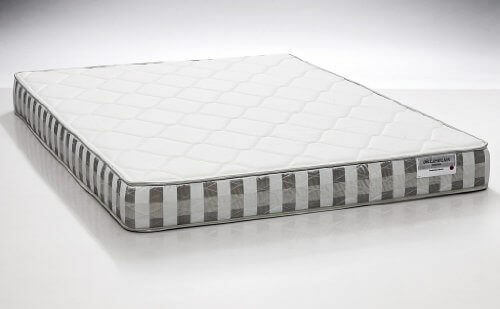 On top is a luxurious 2 inches of soft, comfortable ventilated foam to keep the surface cool while you sleep. Older memory foam mattresses had a reputation for body heat accumulation. Modern memory foam has a newly developed air flow technology that is incorporated into the design of the Best Price mattress and gives it the ability to circulate air through the padding and dissipate body and room heat. If you need a wide variety of sizes to fit any bedroom you have, and want a luxurious pillow top feel to offer resort-like comfort for you, your family and your guests, all at a budget price of less than $300, look no further. The Dreamfoam Bedding Ultimate Dreams Crazy Quilt Pillow Top mattress has everything you need, and most of the available sizes are less than $300. You can get twin, full, short queen, queen, full-XL and twin-XL for less than the $300 budget set here, and even the two additional sizes available, the king and California king are only slightly over that price range, so it is a very flexible option for everyone. Dreamfoam Bedding is a quality manufacturer of superior mattresses that are affordable. Their pillow top mattress has a body-craddling 11 inches of thick foam padding, in their TriZone Core construction for durability, strength and comfort. All foam layers are made from 100% certified CertiPUR-US foam, and are developed to give you a firm surface that is suitable for any sleep position, while making you so comfortable you forget why that is necessary. The pillow top is a uniquely padded layer of foam that is quilted with a smooth, cool fabric that is a delight to lay on. The Ultimate Dreams Crazy Quilt Pillow Top Mattress by Dreamfoam Bedding is made in the USA, and the comes in sizes that are perfect for home, RV or kid’s rooms. It isn’t hard to find good mattresses that will do everything you need for an affordable price. Some people are afraid to try and buy a mattress online. They think the only way to get a good mattress they will like is by testing them at a store. This is a common misconception. Testing a mattress in a showroom is rarely helpful for a couple of reasons. First, you have to feel comfortable enough to relax in order to really get the feel of a mattress. While many people will go through the motions of lying down on a mattress in a store, it is usually an awkward and uncomfortable moment and they are quick to get up. Some may even proclaim, yes, that one feels great, but almost any of the mattresses will feel just great for the few seconds they have lain on them. The second reason showroom shopping isn’t that useful is that even if a person isn’t embarrassed to lie down on a mattress in a busy store, they never relax completely. Your body is naturally in “support mode” when you are awake. You can lay down all you want, your body is going to protect those vital areas (lower back, neck, shoulders, hips) that get pressured during the night when you are fully asleep. You can’t begin to tell if a mattress will support you enough just by giving it a quick test run in a store. Online shopping makes sense; because you can tell all you need to if you pay attention to how the mattress is made, stick to good sellers, and look at reviews. Our buying guide is set up to help you find the right products to consider, and you have the selection of a wide range of manufacturers, not just one or two in a store. You get the best prices too, and there is no middleman markup. However, there are a few things you should always consider when making your choice to be sure you are getting a good product for your money. Buy from a Reputable Manufacturer: This is true in any price range, but especially when a product is budget priced. Lower priced items can be manufactured out of the country you are in, and that can make it difficult to get in touch with them to enforce a warranty or even just to get answers to questions you may have. The company does not have to be located in your country, but it should have a good reputation for quality customer service and quick response. Make Sure there is a Warranty: Even the best manufacturers can have an occasional problem, or a product that doesn’t perform the way you want it to. A warranty gives you the assurance that you can get a replacement or refund, and it gives you the opportunity to find a more suitable product when you need to. Check the Quality: When looking for a good lower priced mattress you need to make sure it is certified by CertiPUR-US. When people buy high priced mattresses, they usually assume (maybe incorrectly) that the product has the best materials and pass all safety and health standards, but getting lower priced products you should make sure they do. What is CertiPUR-US and Why Should You Care? Even when you are shopping for a value priced mattress, you want to be sure the materials are safe for you and your family to use. CertiPUR-US is a private organization developed to standardize testing and ensure quality of the memory foam products sold to consumers. It requires companies who want certifications to undergo product testing and even once that particular product is certified it must re-certify every six months to maintain its standing for each type of foam used. 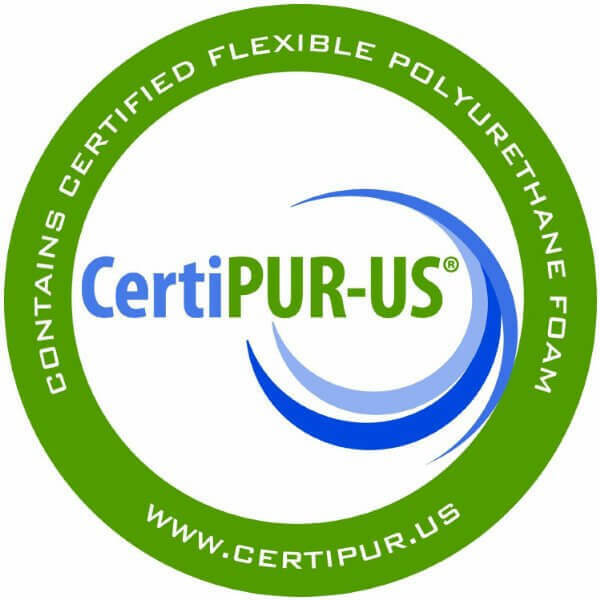 CertiPUR-US tests make sure every type of foam used is free of the harmful types of flame retardants including PBDEs, TDCPP and TCEP. They also make sure there are no phthalates, VOCs, formaldehyde or harmful metals like led in the materials. Make sure you don’t get confused. CertiPUR-US does not actually sell mattresses or other types of memory foam products. It is a company that governs the manufactures of those products and certifies them if they are safe for consumer use. Mattresses do not have to be made in the US to be certified. CertiPUR-US has testing programs in many countries including the U.S., Canada, Mexico, Italy and even China, so don’t think that buying a mattress made outside of the US will be less safe. As long as it is certified it is a good choice. Note that one reason to stick to buying products from the U.S. is that it will likely be easier to reach the manufacturer if you find you have a question or problem that needs to be addressed. Also, while CertiPUR-US checks to be sure foam does not contain harmful flame retardants it does not mean the foam you are considering does not have any. Memory foam mattresses must contain flame retardants to pass federal safety standards. There are safe forms of retardant that will pass the CertiPUR-US certification requirements. With this buying guide, you can find the best mattresses available in your price range and still get a great night’s sleep. Sleep is important and now you can afford to set up everyone in the family with the healthy bedroom environment they need to be healthy, productive and happy. Check out these great mattresses on Amazon and choose the one that suits your needs best today.